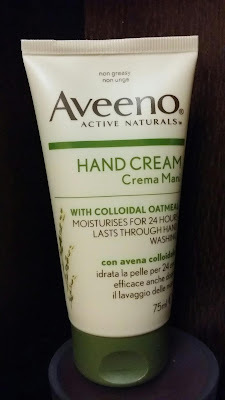 The Brand - Aveeno, suitable for the treatment of extra dry, itchy and irritated skin through its distinctive formula of natural Colloidal Oatmeal blended with rich emollients. The Aveeno scientists have been experimenting for over 60 years with the natural properties and chemical compounds of oats, renowned for their ability in providing relief to those suffering from dry and irritated skin. Today their range still maintains its original skincare philosophy and all products contain naturally active Colloidal Oatmeal and oat extracts to nurture and transform skin to an enhanced state of natural health and beauty. The Claim: Aveeno products actively relieve and protect skin by replenishing and locking in moisture for a full 24 hours. The Result: I loved it! I wouldn't say that it lasts the full 24 hours, but it does last longer than any other hand cream I have used. When I applied it at night before bed it lasted close to 18 hours (that I could still feel it). The case was different when I applied it in the morning, which was followed by a 100 hand wash regimes (I'm a clean freak! ), the cream ended up lasting for about 8 - 10 hours. Another pro is that it's non greasy and light which makes it easy to wear all day. 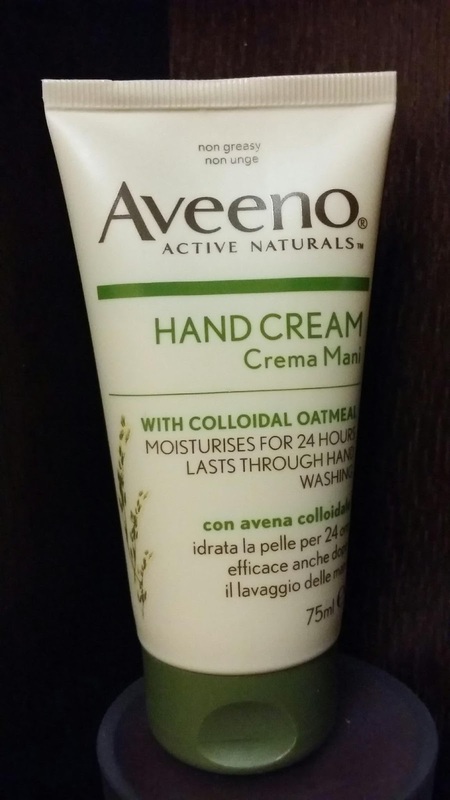 The weather in the UAE combined with central air conditioning makes my hands really dry, so Aveeno's hand cream is something that I can apply and then forget about moisturising for hours. Cons - I don't like the smell, maybe it is the oatmeal or just the lack of extra added fragrances that most other hand creams are made of, I guess I just have to get used to it. Stay tuned for reviews of more Aveeno products coming soon. For other product reviews click here!